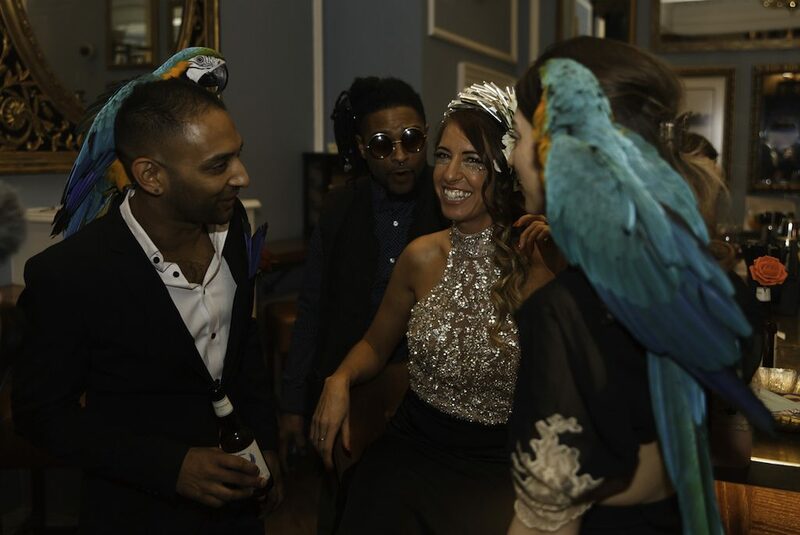 The red carpet affair of ruffles, roses and romance was hosted at Hotel du Vin’s majestic 19th Century Cannizaro House. 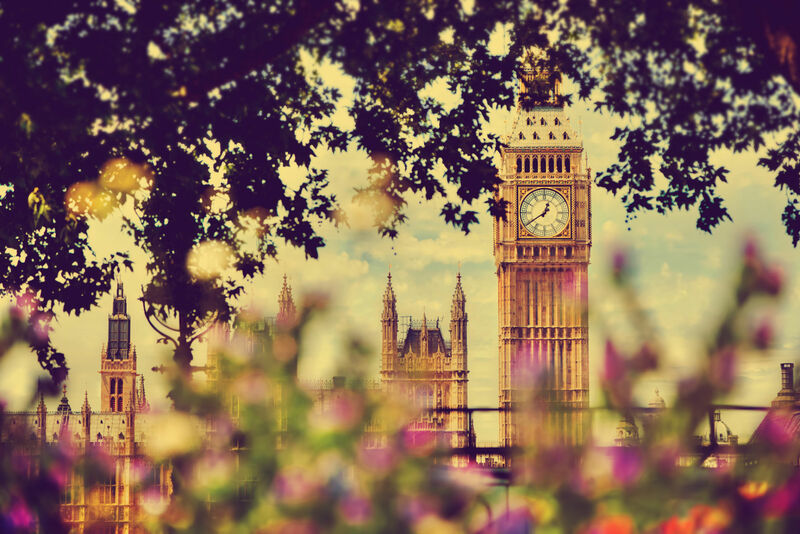 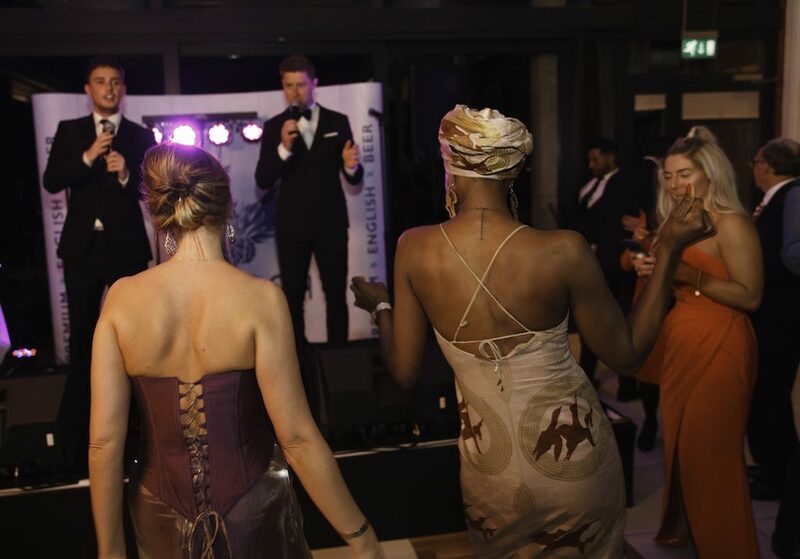 It’s historic charm set the tone for a beautiful evening of schmoozing and fun. 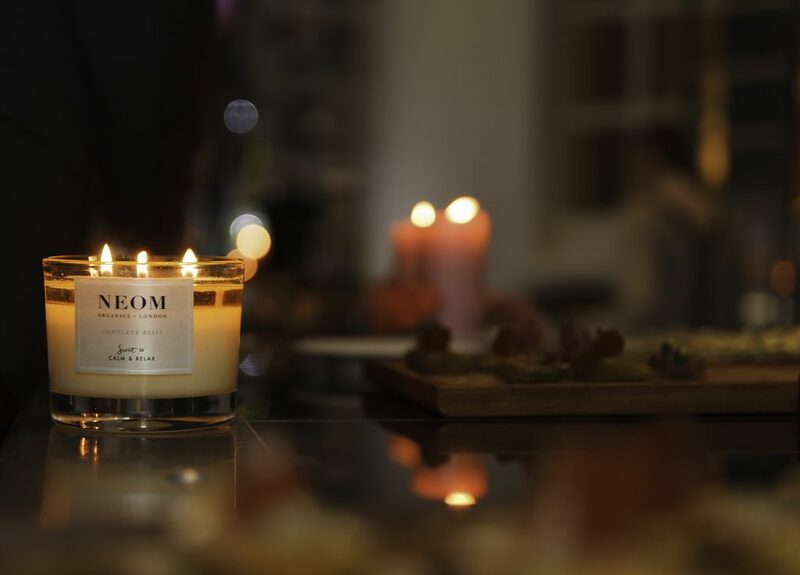 The allure of NEOM Organics Bliss candles and ‘Calm and Relax’ reed diffusers scented the room, bringing guests from the lounge area to the opulent Orangery at Hotel du Vin. 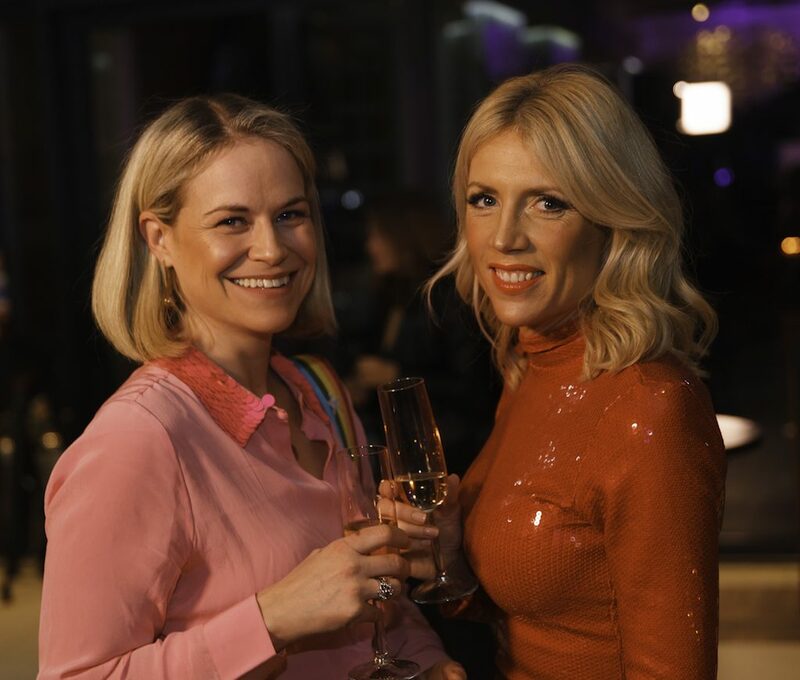 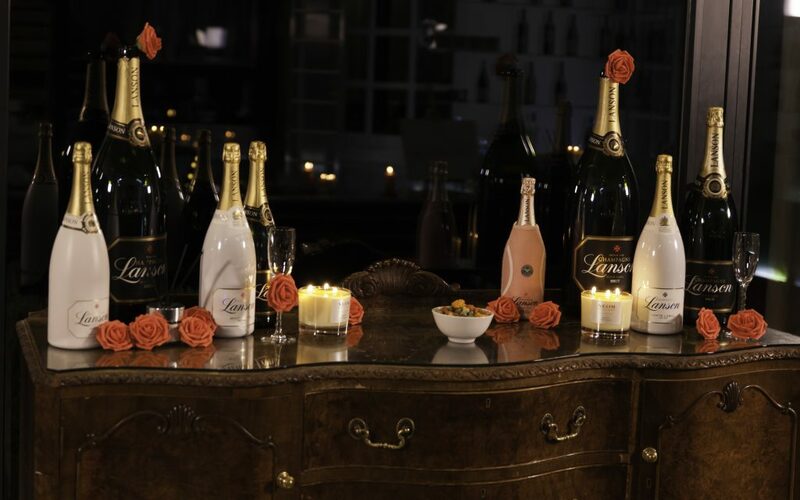 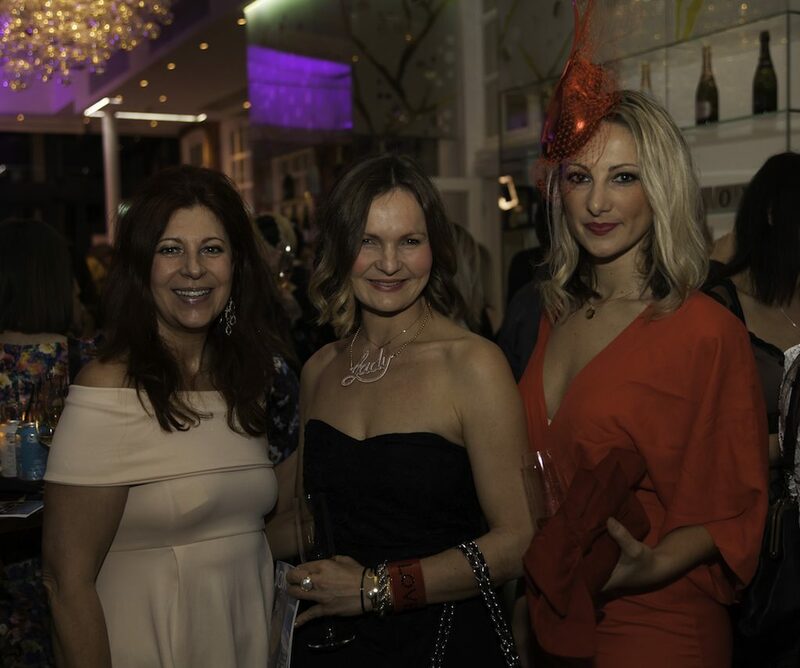 Guests were welcomed with silver trays of glittering-gold glasses of chilled Lanson Champagne, generously provided by Hotel du Vin Wimbledon. 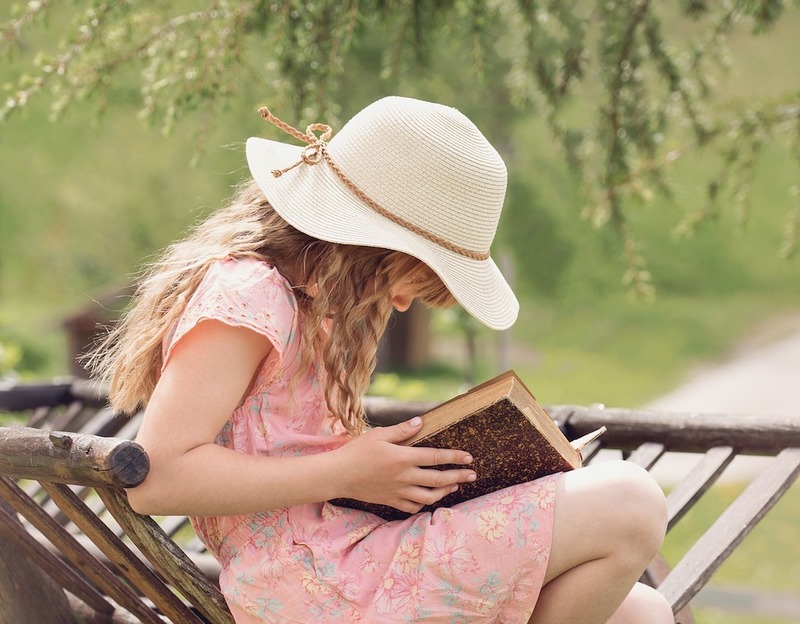 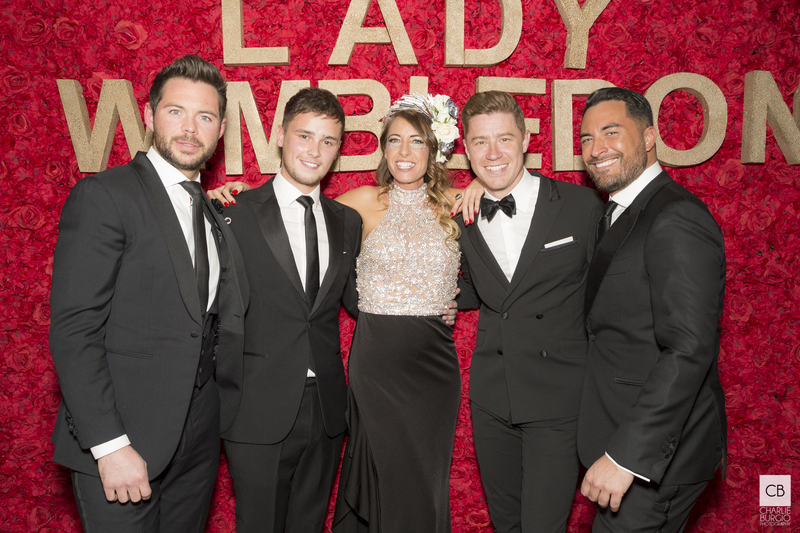 Glamorous dresses swooped to the floor or cut to the knee, whilst the gentlemen added ‘a touch or romance’ to their attire. 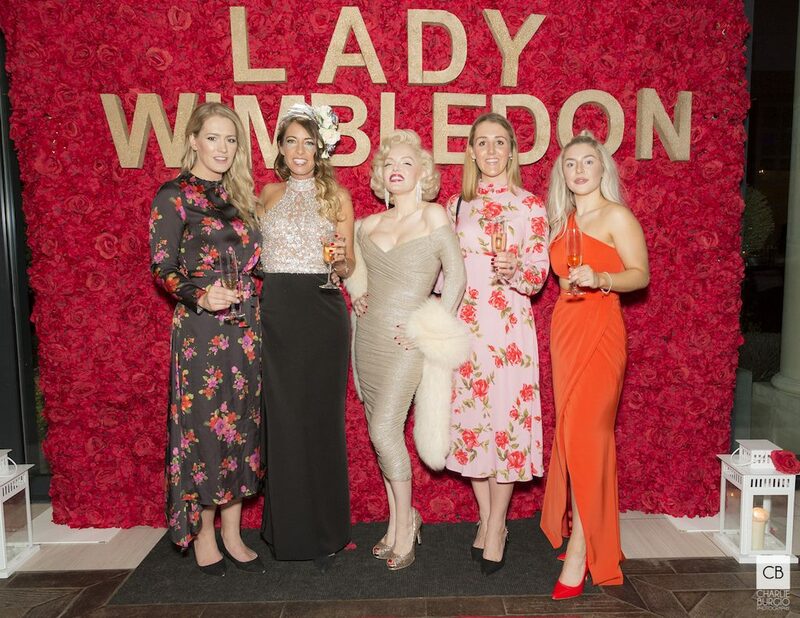 Lady Wimbledon wore a stunning dress by Having a Ball, and a headpiece crafted by award winning milliner Ana Bella Millinery, specially designed for the occasion. 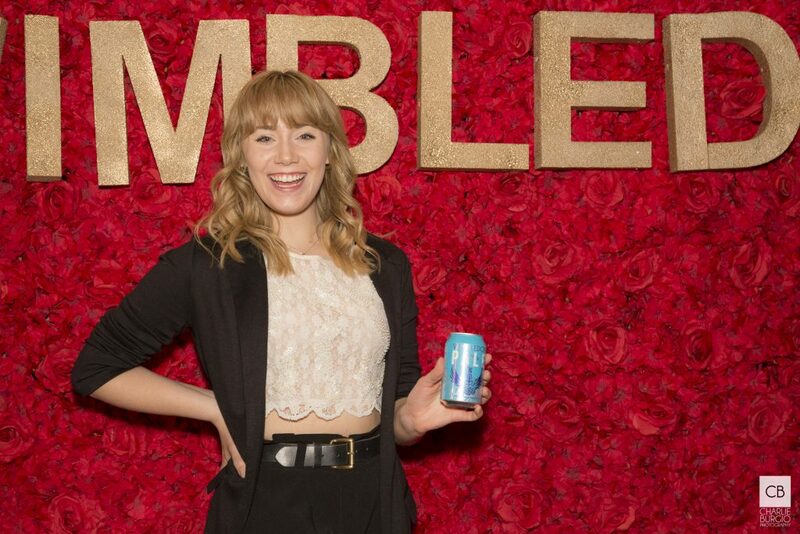 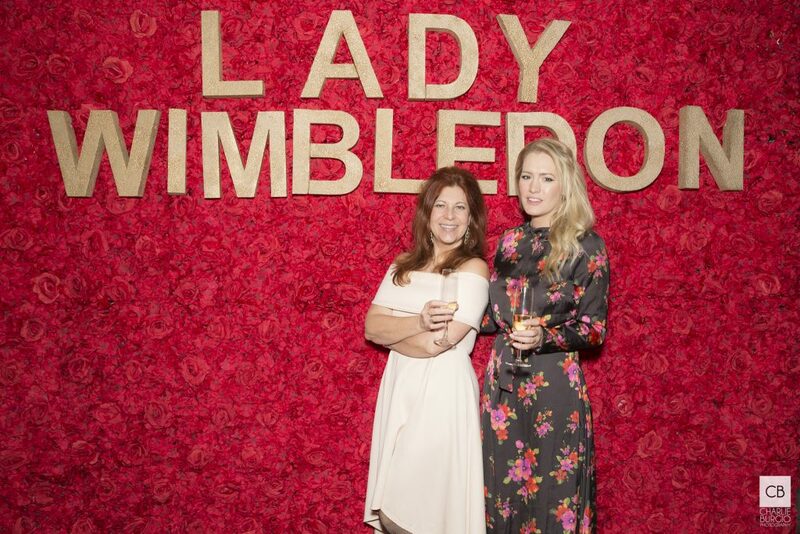 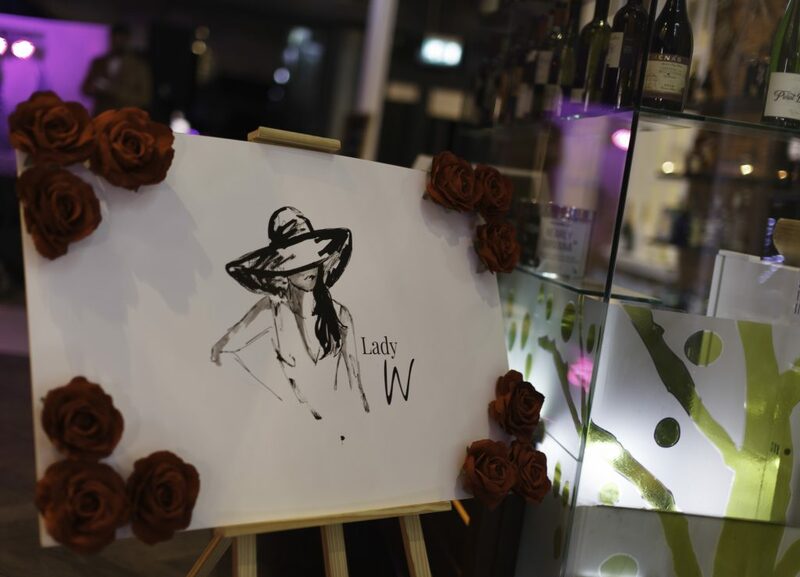 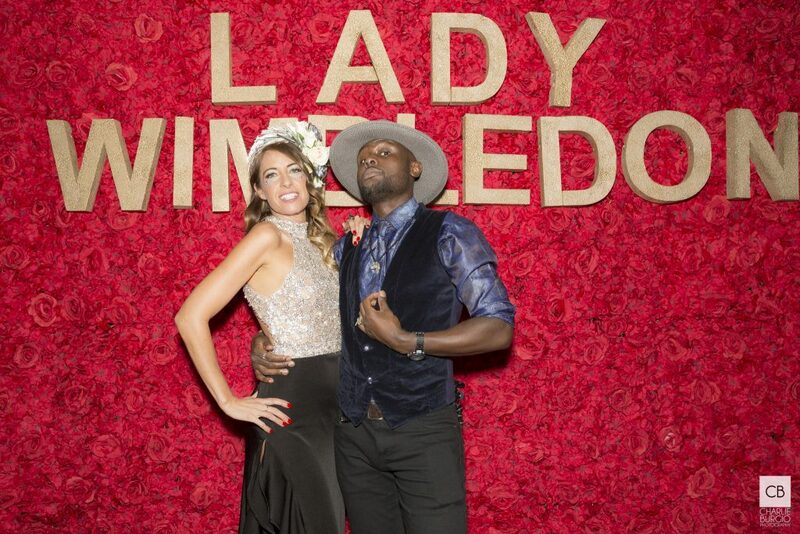 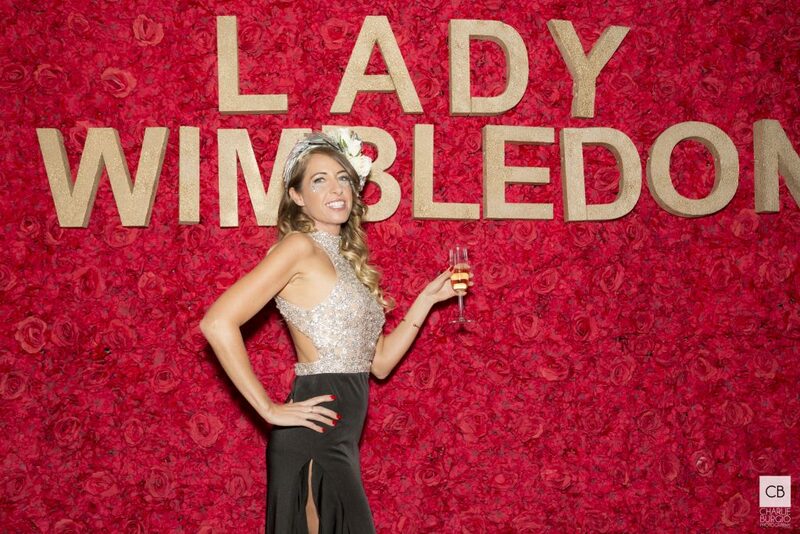 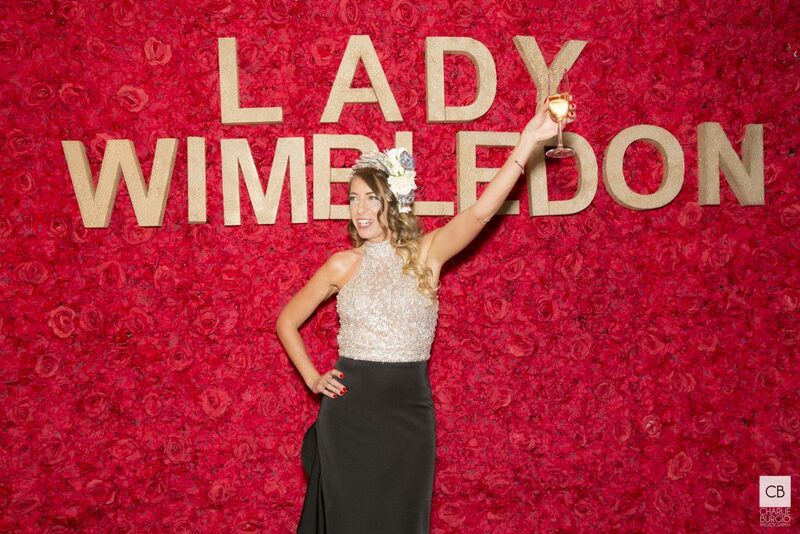 It was impossible to miss LADY WIMBLEDON written in gold against an impressive bespoke three metre red rose wall, handmade by Danielle Sweeney Events. 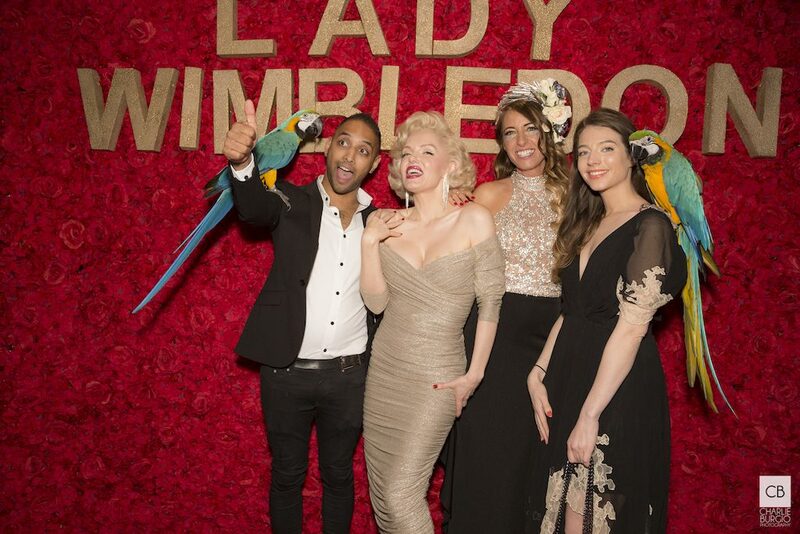 Guests were star-struck as the world-renowned Marilyn Monroe tribute artist; Suzie Kennedy circulated the room and happily posed for photographs by Charlie Burgio and Martijn Prins. 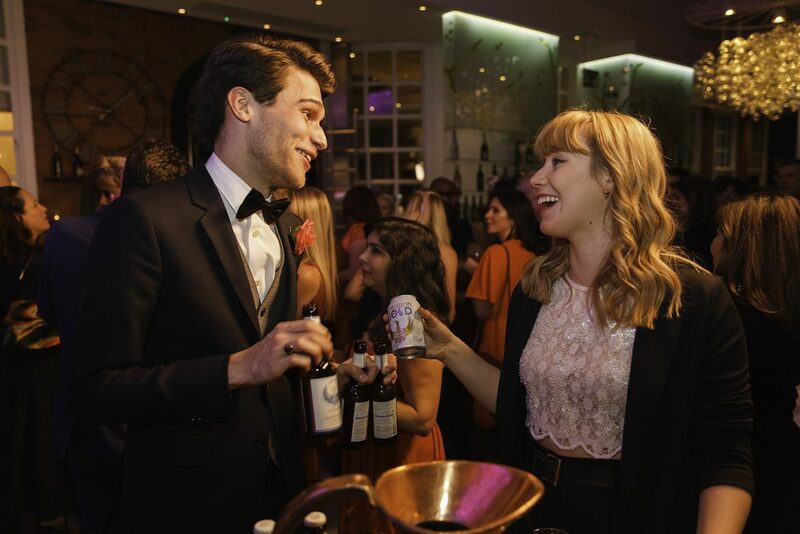 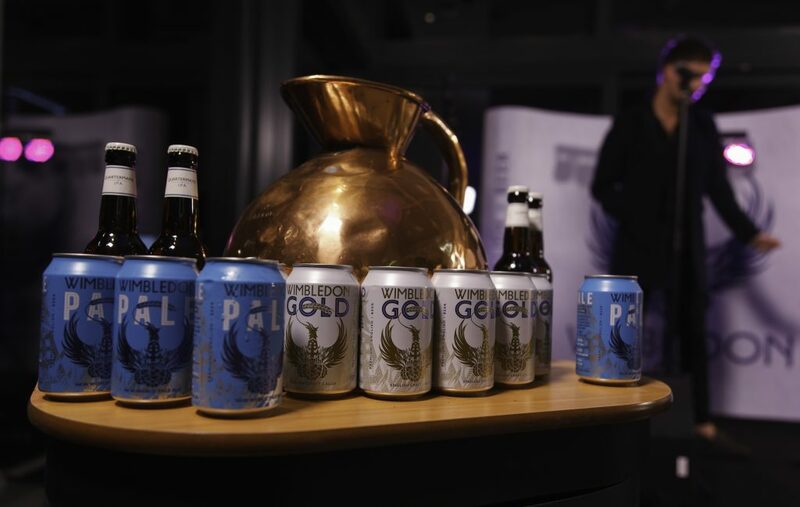 Those in black-tie were delighted to be greeted by Founder of Wimbledon Brewery Mark Gordon and the team who were serving ice-cold beautifully crafted English beer throughout the night. 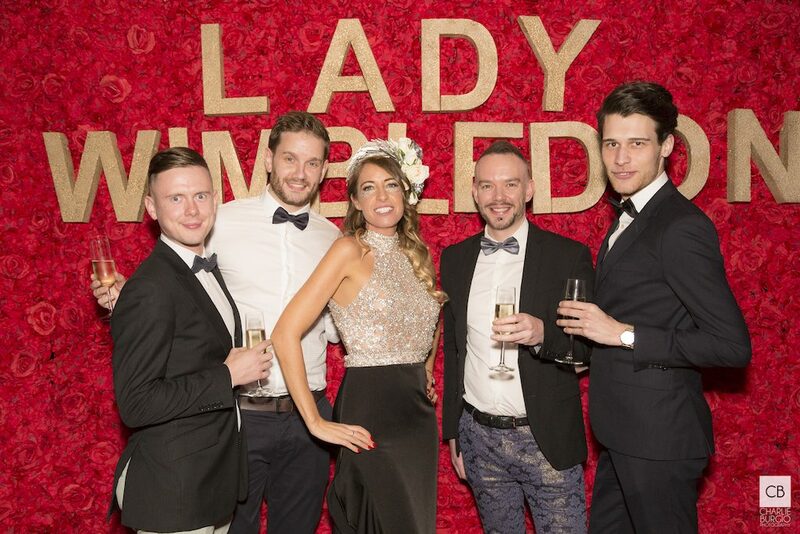 Recently playing to 40,000 people at Hyde Park and the British Monarchy at St James’ Palace, we were thrilled to have Jack Pack perform at our most glamorous yet intimate event. 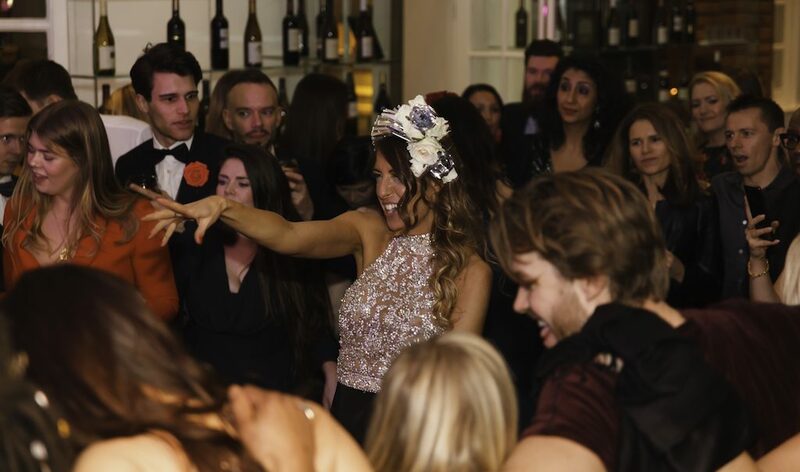 The swing group filled the dance floor. 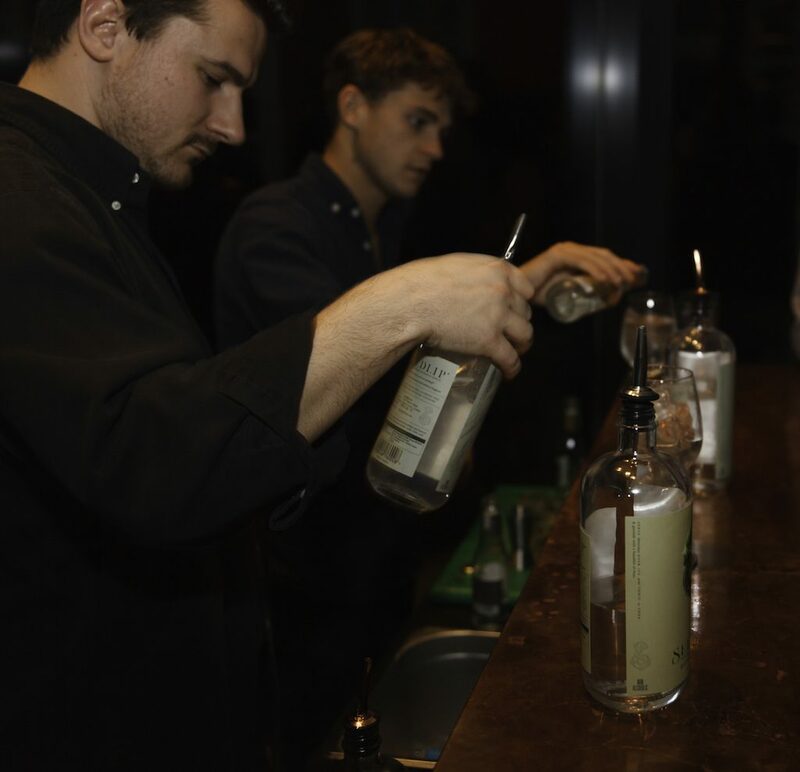 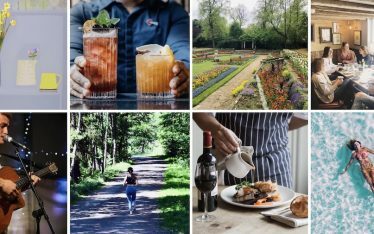 To those who chose to drive or continue dry January, botanical non-alcoholic spirit, Seedlip, served with iced soda water and a sprig of Rosemary poured the most elegant mocktails. 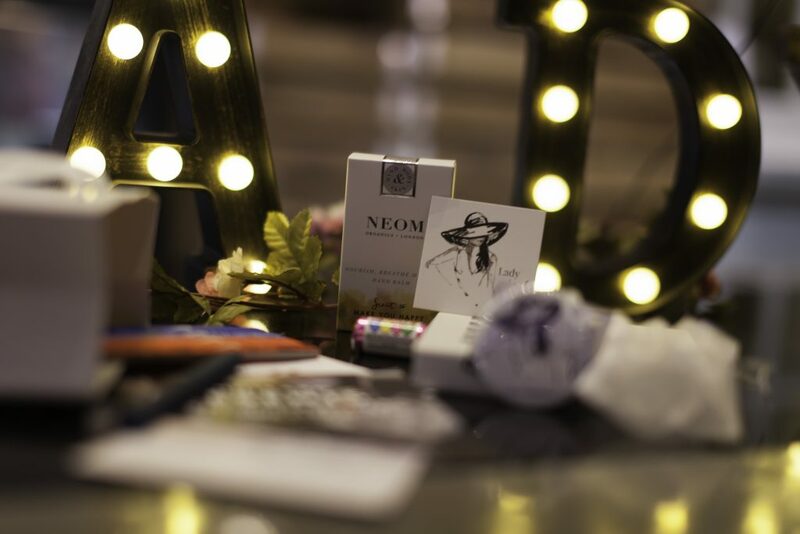 Our Valentine raffle was a treat for the winners of a luxurious dinner, bedroom and breakfast at Hotel du Vin Wimbledon, a made-to-order cake by Creams Wimbledon, NEOM candle and diffuser, and a beautiful bouquet of roses by Gardenia of London. 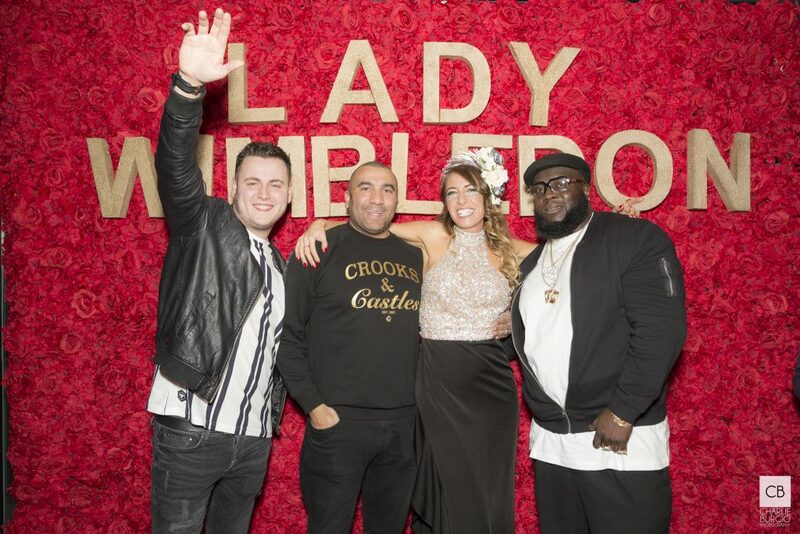 All profits from the event go to Celeb FC, fundraisers who play football matches with a team of well-known celebrities to raise money for local charities. 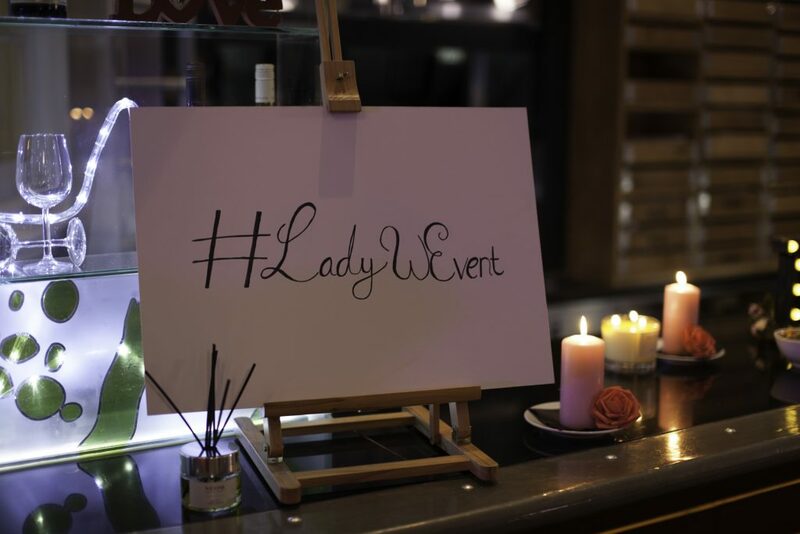 At the end of the evening, guests were delighted to receive a luxury gift bag overflowing with a unisex fragrance wardrobe by Commodity, the worlds first heel stoppers by Clean Heels, Nike accessories from INTERSPORT, NEOM products, and love heart sweets. 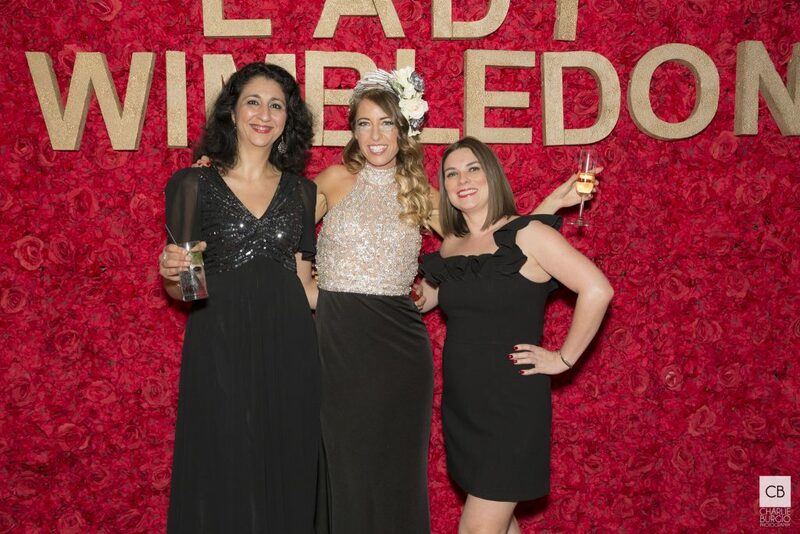 We would like to thank all our guests to The Wimbledon Love Ball and can’t wait to invite you to the next one in Wimbledon Village on the 27th February. 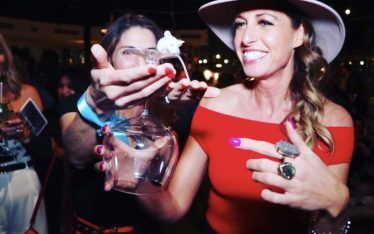 If you are not on the guest list – join today by clicking here. 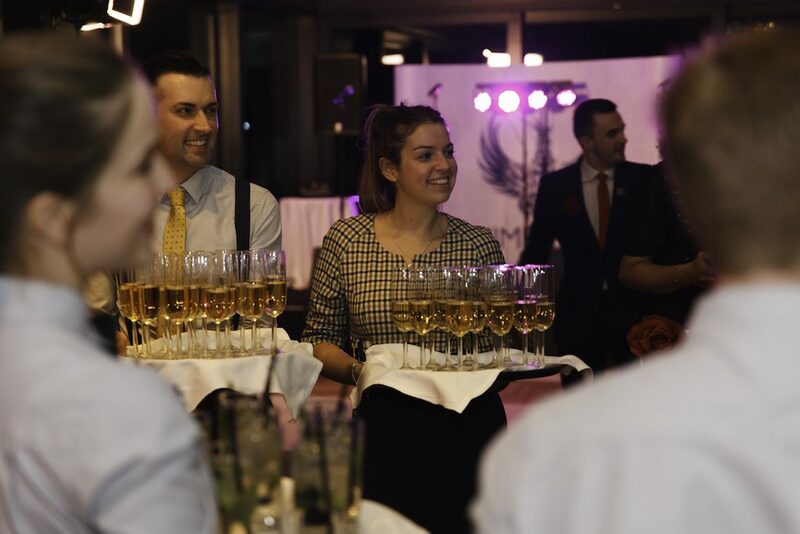 Photography by Charlie Burgio & Martijn Prins. 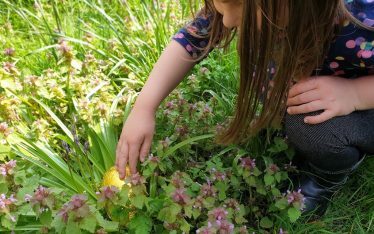 Find more photos are on Facebook.